Earlier this week, Jill Rutter from the Institute for Government, wrote a typically incisive and important blog looking at the pipeline of female talent in the Civil Service. As Jill highlights, the recent appointments to our Permanent Secretary cadre have not represented the gender diversity we are determined to achieve. 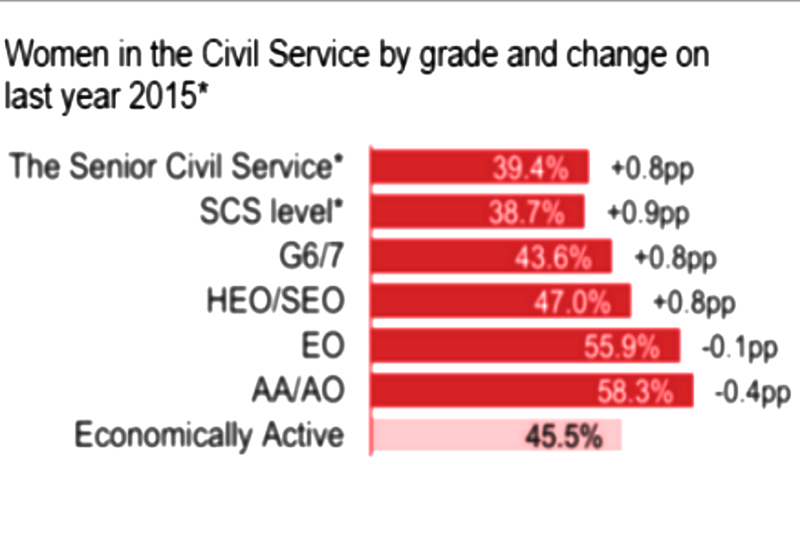 This is clearly disappointing, but it is not remotely reflective of the wider trends across the leadership of the Civil Service. Women now make up nearly 40% of the SCS, an increase from 35% in 2010 and 16.7% in 1996. In some departments, 50% or more of SCS are women and across the whole of the SCS the proportion of new appointments going to women in the last year has been 45%. So I am very confident that we are now building a deep and rich pipeline of outstanding senior women who will be the future leaders of the Civil Service. By contrast, Jill is right that at the highest level – Permanent Secretaries – we are still not doing well enough. Female representation is around the 20% mark; and only seven of the current 36 Permanent Secretaries are women. But it is not all doom and gloom. Last year, four out of 11 appointments at Permanent Secretary level were women, and there have been 11 women appointed since 2010, around 1/3 of all of the female Permanent Secretaries ever appointed. Be that as it may, I fully agree with Jill that we must do more, and we have set out a full range of measures to ensure we continue to increase the diversity of the Civil Service leaders. Our Talent Action Plan made it clear that single-gender panels in recruitment and shortlists are now by absolute exception. More widely, we are increasing the take-up of unconscious bias training among our managers, with a particular focus on those involved in assessing and recruiting. Since the launch of the Talent Action Plan, over 100,000 civil servants have taken training to counter unconscious bias. We are also aware that we need to continue to support the development of our employees, creating a talented and diverse pipeline for our most senior roles. To this end, we have committed to a review of the way in which the Civil Service defines and identifies ‘talent’. We will use more inclusive ways to identify potential and ensure there is a clear pathway for all talented civil servants, with a particular focus on those from under-represented groups. To support our talent pipeline, we introduced the Individual Development Programme in 2014. Its purpose is to develop high-potential directors-general for Permanent Secretary roles, and 40% of the scheme participants are women (34% of the director-general population are women, May 2016). The programme will be supported by our other talent schemes, from Fast Stream to director level, that help to identify and develop high-potential staff. Ensuring the proper representation of women on these schemes is a clear priority. Only if we do that can we ensure that our future talent pipelines are consistent with our diversity goals. The ambition to create a Civil Service that is truly inclusive and representative of wider society is supported by leaders across the organisation, including our Civil Service Diversity Champions and all Permanent Secretaries. 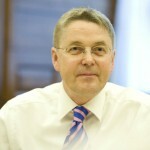 And, as Head of the Civil Service, I have personally committed to making this a top priority. Talented individuals must be able to progress, regardless of who they are or what their background is. This, of course, means more women in our Permanent Secretary posts in the future. This is an updated version of the post published earlier today, 13 May. The diagram is implying that if you are EO or below, you are not a leader. This is wrong. Some of the most hard working, diligent and kind people are EO or below. Leadership if the delivery of (good) ideas, whether other people's, or your own. Leadership is what you do, not who you are, or what grade you are.